Well, the holidays are here, aren't they? It's hard to believe. They really snuck up on me this year. Yikes! I'm not ready! Usually, by this time, I've got most of my gifts purchased and have started bringing boxes of Christmas decorations in from the garage. I love opening each box and discovering ornaments I had forgotten all about. I'm used to getting things done early and planning, planning, planning. Not this year though. Things are running a little behind, but that's ok. It will all work out in the end, as it always does. 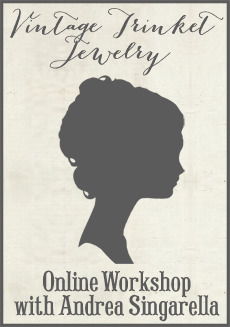 I've decided to wait until after Christmas to reopen my shop. There's just so much going on right now, and I'm not quite ready to reopen. However, I do have a few special Holiday items that are available to purchase via email. I ordered them for the shop several months ago and just cannot let Christmas go by without offering them to you! I am selling them at a bit of a discount and quantities are limited. These glittering door signs are from the Wendy Addison collection. She is the reigning queen of German glass glittered decorations, and her creations are simply magical! I love these signs, and cannot wait to hang one on my door. They are covered in silver glass glitter that will tarnish with age. Each sign comes with an ivory ribbon hanger. It's difficult to capture the sparkle with a camera, but I assure you, these are even more gorgeous in person! 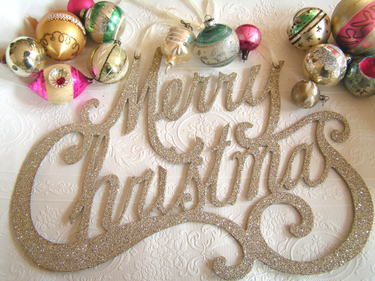 The "Merry Christmas" sign measures 20" x 14" and is $29. 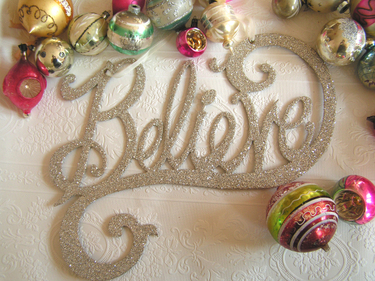 The "Believe" sign measures 16" x 13" and is $22. And, lastly, this fun holiday garland! 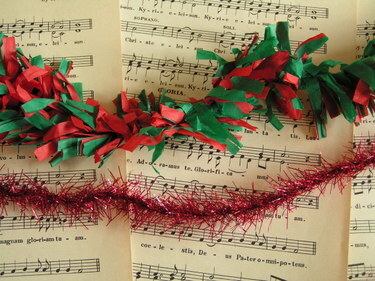 The top one is red and green tissue paper fringe garland that measures 9 feet long. The other is red metallic tinsel garland. Also measures 9 feet long. These have endless uses including paper crafting, gift wrapping trim, draping across a mantle, mirror or bookcase, or decorating your tree. I can't get enough of these garlands and have several other colors in the shop, which will be available in January. For now, I thought I'd keep it simple and offer you these pretty Christmas colors. Each 9 foot garland is $5. I am behind this year too. I think it was the wedding that did it for me. I love Wendy Addison, I have many things from her line. I'm sure you will sell these quick. Can't wait til your shop reopens. I have been doing some signs of my own lately. I am very excited, because they are for sale at my friends store. I made some for my daughter's wedding, and the rest is history. I hope you are all having fun with that new baby. Happy Thanksgiving! If you get a chance check my blog to see my signs. What lovely Christmas decorations!! My favourites are the glittery door signs...just beautiful! I look forward to your shop re-opening after the holidays. Such beautiful decorations! How is your new precious little one doing? Hope all is well! Oh my Andrea I loooove the glitter signs, will drop you an e-mail right away! Congratulations!! He is adorable and has such a great head of hair. What a doll. You will have such a wonderful holiday this year with those little ones around. I just found you and what a treat! Your family is darling and I love your meaningful charm bracelets! Right to the point: i would like to purchase the "Merry Christmas" by Wendy : ), Thank You! What a Beautiful family that you and your husband are making!!! Congratulations! Congrats, those baby annoucements are the cutest. The door signs are a fantastic addition to seasonal decore. Really enjoyed visiting your blog today. It's more important to enjoy the game and get stronger from sports than to perform well in them. If you don't mind me asking... what font is that?